While making over two dozen frock coats for Connecticut Valley Field Music, I inevitably came across the issue of having to fit women into a man’s coat. 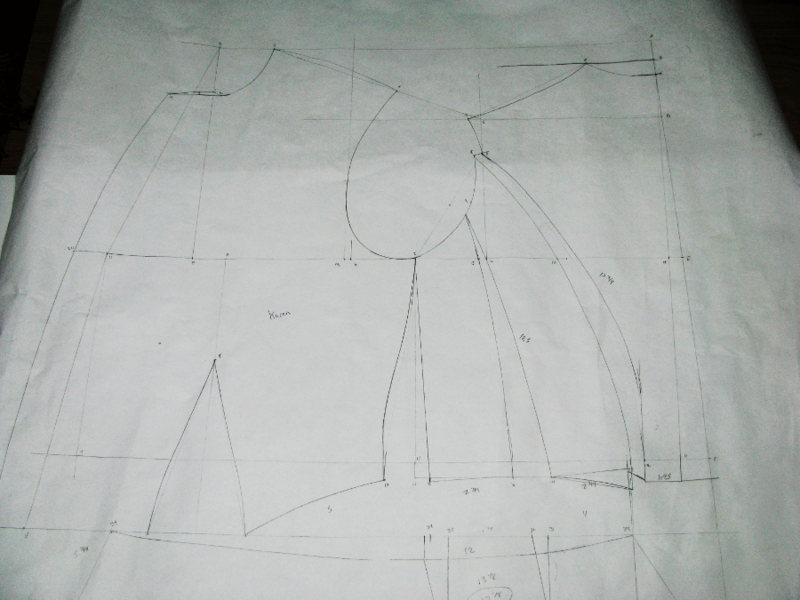 For the first couple of women’s coats, I used the same Devere’s pattern as the men. This worked somewhat with certain builds. But I finally came across some body types that would not work with these patterns. 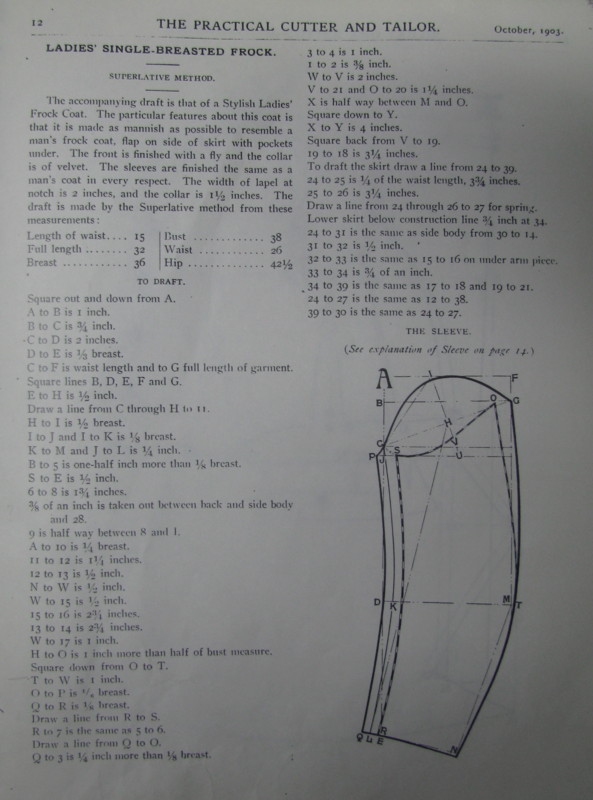 I tried Devere’s riding habit and ladies’ paletot pattern first, but the dropped shoulder on each of them would have looked out of place with the others. 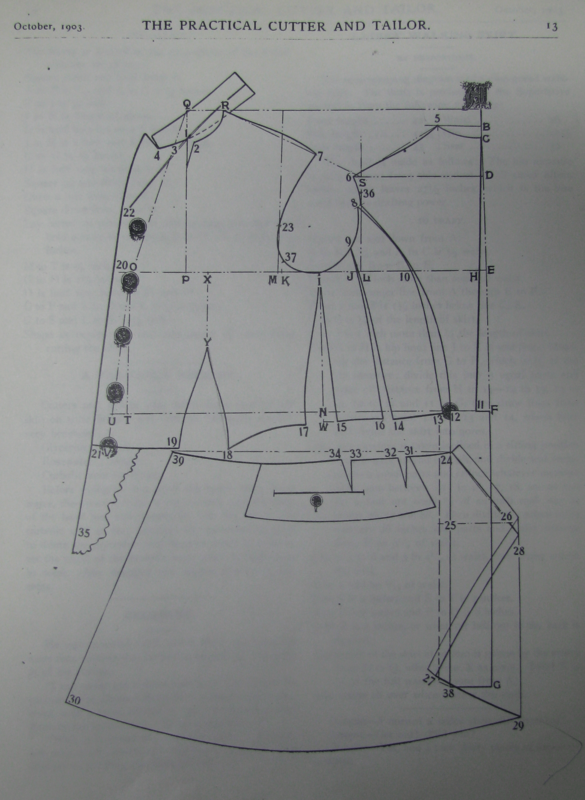 Finally, after hunting through my library, I came across the following draft for a Ladies Single-Breasted Frock Coat in an October, 1903 issue of The Practical Cutter and Tailor. I’ve found numerous errors in this draft, so beware. The main issues I’ve found so far is that the front body come down too low, and the dart is too pointed, leaving a very odd looking bulge. Easy enough to fix. It’s the mathematical and drafting errors that can really trip you up though. Here is my attempt with this draft. I’m not happy with the way the back curve came out. It needs more hollowing out. But otherwise the fitting today with it went fairly well, with no huge issues to deal with.